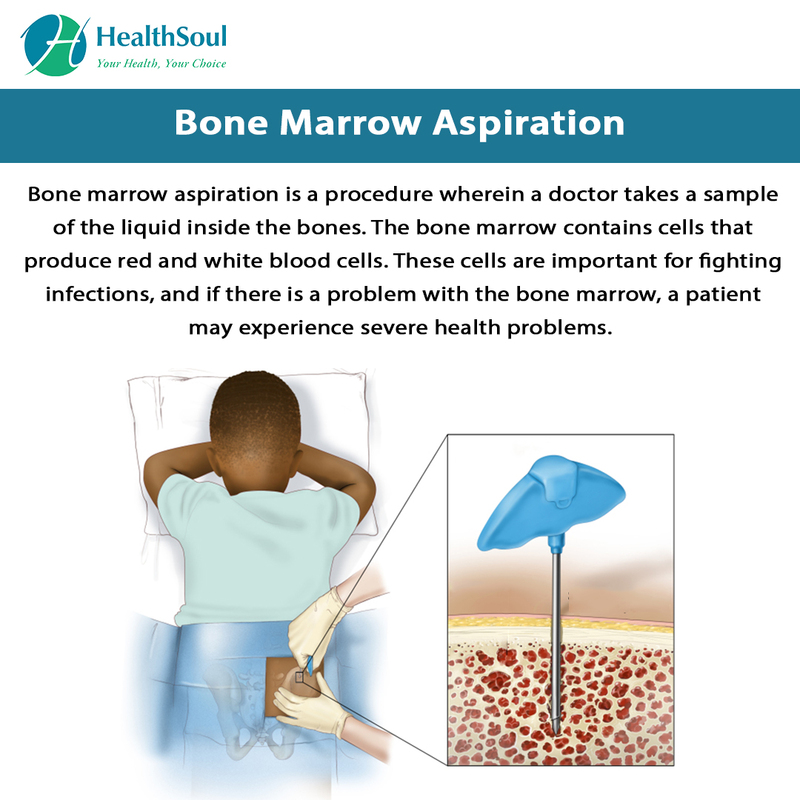 Bone marrow aspiration is a procedure wherein a doctor takes a sample of the liquid inside the bones. The bone marrow contains cells that produce red and white blood cells. These cells are important for fighting infections, and if there is a problem with the bone marrow, a patient may experience severe health problems. Before a bone marrow procedure, patients may be asked to stop taking certain medications. Patients should also inform their doctors if they have any allergies. Some patients may be nervous about the procedure. A doctor may offer a sedative to help keep the patient calm. Doctors may also have specific preparation plans for their patients, depending on their overall health. During the procedure, the patient will lie down on a table on their side or stomach. They are covered with a cloth other than the small part of the body where the procedure will be performed. The doctor will check the patient's vitals and then offer anesthesia to numb the area. IV medication may also be given. The doctor will take a hollow needle and stick it into the patient’s bones to pull out the bone marrow, which will be set aside for testing. The patient may experience a dull ache during the procedure. Recovery from a bone marrow aspiration procedure is usually pretty easy. Most patients will experience some pain for up to a week after the procedure. There may also be some soreness around the injection site. There is a risk for infection if the area is not kept clean. Patients who have severe pain or show signs of an infection during recovery should contact a doctor for help. 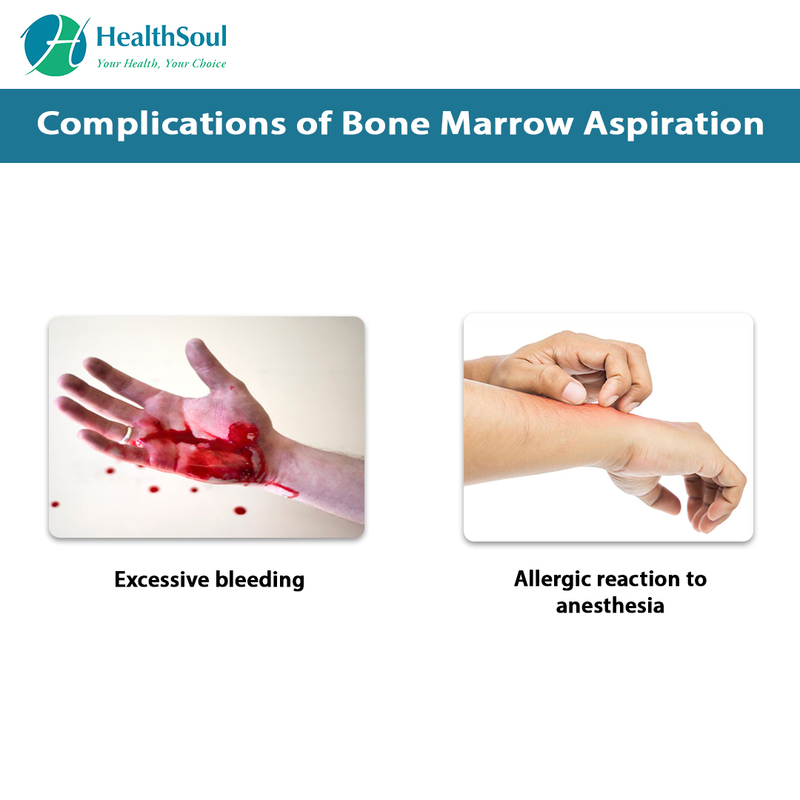 Bone marrow aspiration results will be either normal or abnormal. A normal result means the blood marrow sample contains a normal amount of fats, iron, and connective tissue. An abnormal result means that there is too much or too little volume of iron within the bone marrow. Doctors will use the results of the test to determine if other tests are necessary. They may be able to come up with a complete diagnosis.